Walter Gropius (1883-1969) wrote these words in 1923, the same year in which the definitive version of the most influential of all modernist door handles was put into mass production. 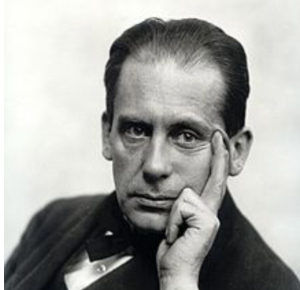 Gropius was the first head of the Bauhaus, guiding it from its early years of expressionism through a mystical, transcendental phase to the severe functionalist era with which the school was identified. Originally designed for the Fagus factory in Alfeld, the simple, rational lever produced by izé is composed of a cylindrical grip and a cranked, squared stem, its formal language exemplifying the constructivist and machine aesthetics of the Bauhaus at their most radical and effective. It was the most commercially successful product to emerge from the Bauhaus and, arguably, the archetypal modernist handle.